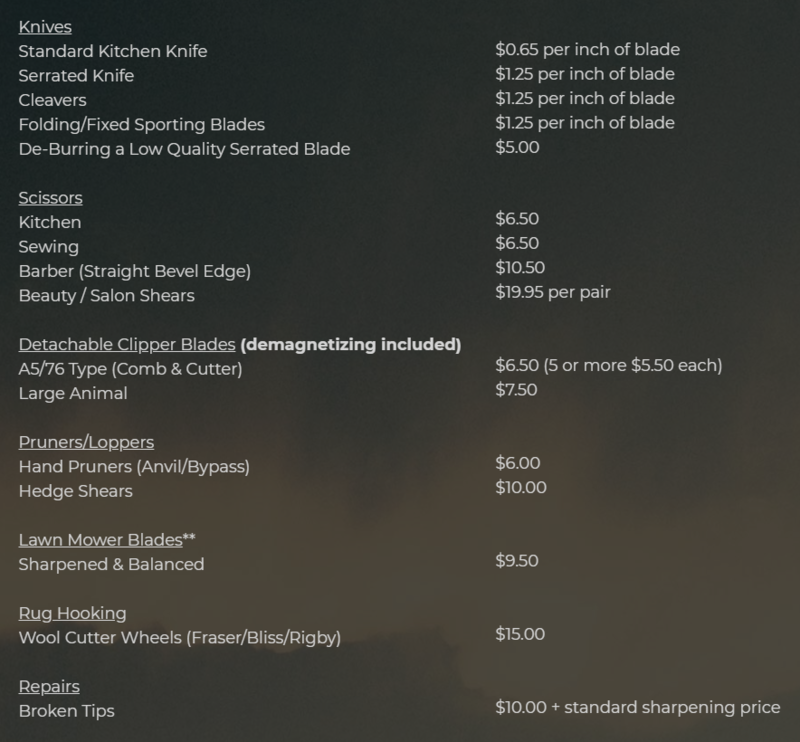 ​If you have something not listed that you need sharpened, please contact us. ​We would be happy to provide you with a quote. We do not sharpen circular/table saw blades, drill bits, planer blades, skates, swords or restricted weapons.